Can Eagles QB Nick Foles pass his way into the NFL record book? Philadelphia Eagles quarterback Nick Foles has certainly given his team a boost with his 125.2 Passer Rating and a 5-1 record for the team as a starter. In addition, his 19 TDs without an interception has given him enough buzz around the league that his name is now being mentioned as a potential MVP for this season. His performance (and that of the Eagles) will likely determine if we are still talking about “Nick Foles, MVP” in four weeks. But here’s a more thought-provoking question: Is it possible for Foles to end the season without an interception? Foles is one TD from tying Peyton Manning’s record for 20 TDs without an interception to start a season. In addition, if the season ended today, Foles would set a record for most TDs without an interception in a season. 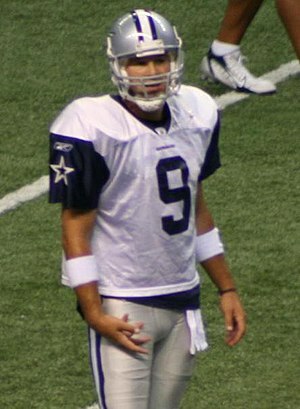 The current mark is held by Steve Young who had 10 TDs and no interceptions in 1987. 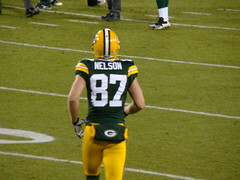 He started three games in ’87 subbing for Joe Montana, winning two of those three contests. Two other QBs, Charlie Batch and Todd Collins, finished a season with five TDs and no interceptions. Here’s a look at the most TDs in a season with none, one, two, three, four and five interceptions. No interceptions in a season: Steve Young, 1987, San Francisco, 10 TD passes. One interception for the season: Damon Huard, 2006, Kansas City, 11 TD passes. Two interceptions in a season: Boomer Esiason, 1997, Cincinnati, 13 TD passes. Three interceptions in a season: David Garrard, 2007, Jacksonville, 18 TD passes. Four interceptions in a season: Tom Brady, 2010, New England, 36 TD passes. Five interceptions in a season: Steve Bartkowski, 1983, Atlanta, 22 TD passes. What do you think? 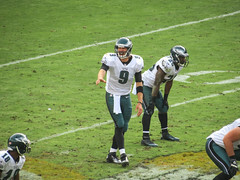 Can Foles end the season without an interception? Or, in which of the above categories might he take over the lead? If you’ve watched any number of NFL games on TV, you’ve likely heard more than a few announcers mention about a team’s field position. We all know that field position is important to an NFL team. But here’s the question… How important is field position to a team? And more specifically, how important is a team’s starting field position to their success? Just as a refresher, starting field position is where an offensive team takes over possession of the ball from their opponents. 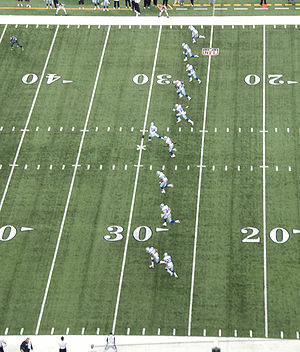 If your team is receiving a kick-off and it goes for a touchback, your team gets the ball at their own 20-yard-line. Starting field position… your own 20-yard-line. If your team intercepts a pass and it is returned to the opponents’ 34-yard-line, your team’s starting field position is the opponents’ 34-yard-line (by the way, great starting field position). With that lesson out of the way, let’s get back to the task at hand: The importance of starting field position. To put some numbers to this question, let’s look at the first six weeks of the 2013 season. By tracking every starting field position in every possession in the 92 NFL games played to date, we can analyze the importance of where on the field a team starts their offensive possession… and if they scored. What did we discover? Here’s a breakdown of where (yard-line) the 2,095 offensive possession started and if a team scored on that possession. Reading the above chart we see that a team that started at their own 20 to 29 scored 287 times in 968 possessions, or just under 30% of the time. Teams that started at their opponents’ 39-yard-line or better scored in 112 of the 130 possessions (an 86.2% success rate). * Teams that started their possession at their own 19-yard-line or worse scored only 25.9% of the time. Teams that started their possession at their own 30-yard-line or better scored on 313 of 625 possessions, 50%. * Teams this year that started every possession at their own 39-yard-line or worse in a game won only seven and lost 18, a .280 winning percentage. Teams this year that started at least two possessions in a game in their opponents’ territory have won 51 games and lost only 14, a .785 winning percentage. Does starting field position matter? You bet… but then you already knew that.